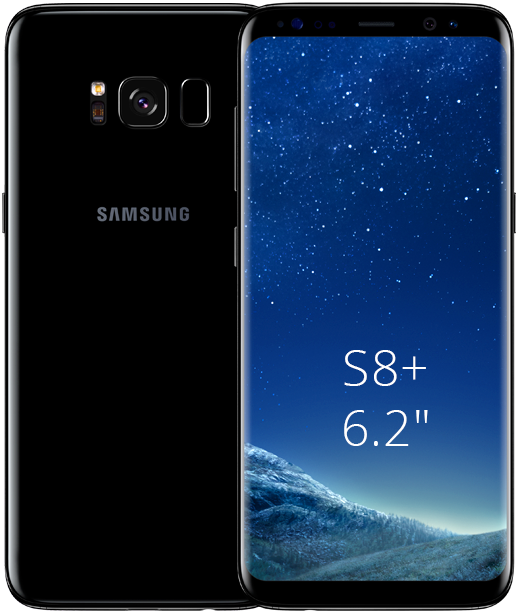 The 64GB 6.2" Samsung Galaxy S8+ (G955FD, Dual Sim, Factory UNLOCKED) recorded on eBay priced at $393.99 & FREE expedited shipping in the US. Lowest ever! The Galaxy S8+ with its 6.2" display is a larger version of an already large Galaxy S8 (5.8"), but since the screen covers 84% of the front, it is still possible to grab it with one hand. It features 6GB of RAM and 64GB storage, plus a microSD slot (256GB max). The battery is 3.5Ah Li-Ion, which should last a day & a half with moderate usage.